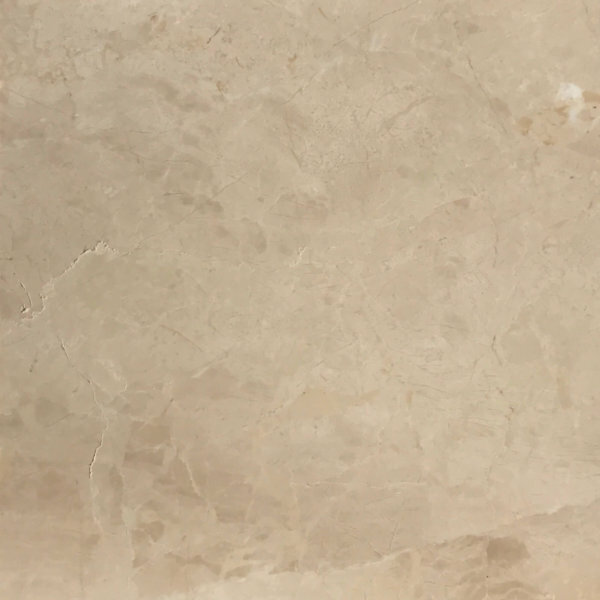 Tile size: 152 x 76 x 10mm. 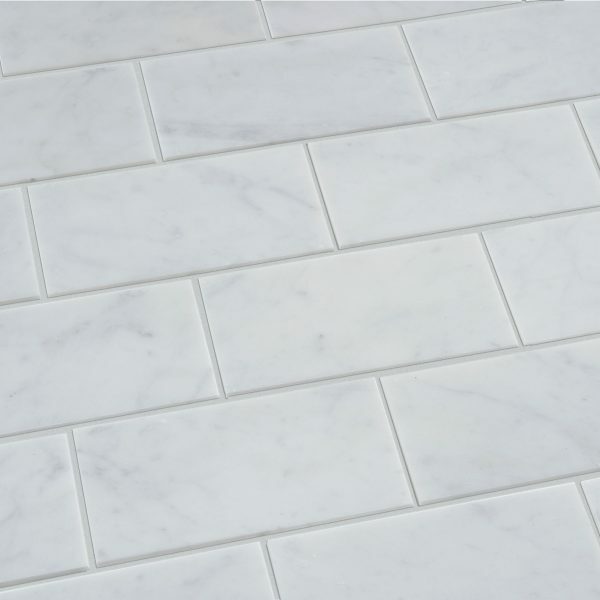 High quality honed Carrara Marble Metro Tile size: 152 x 76 x 10mm. This tile looks absolutely fantastic in kitchens or bathrooms. It can be laid in a herringbone pattern as well as a brick bond style. Try mixing in a few of the polished tiles to create an interesting effect. 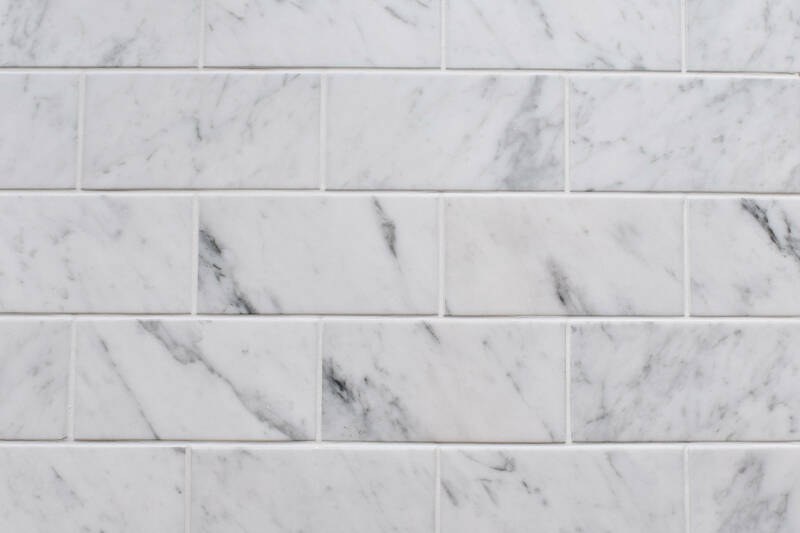 Quarried from the city of Carrara in Tuscany, Italy, Carrara marble is a beautiful blue grey marble. 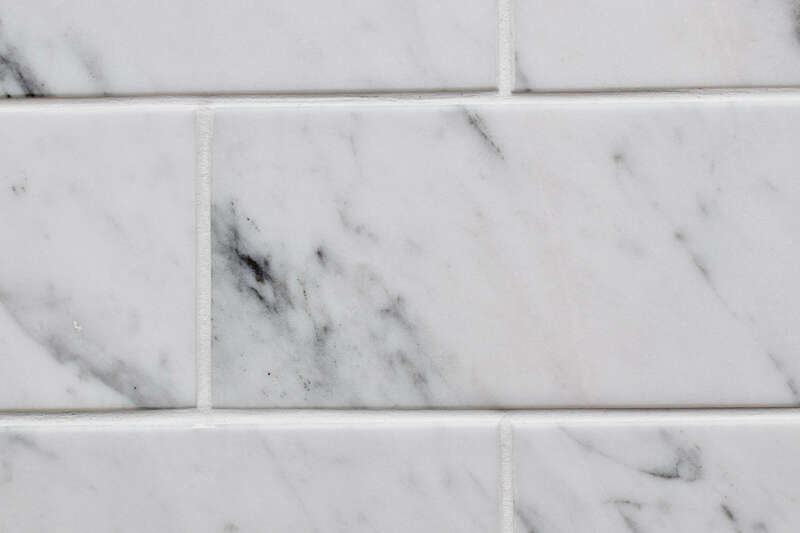 It features grey veining across the white or grey blue marble which creates unique and individual character. 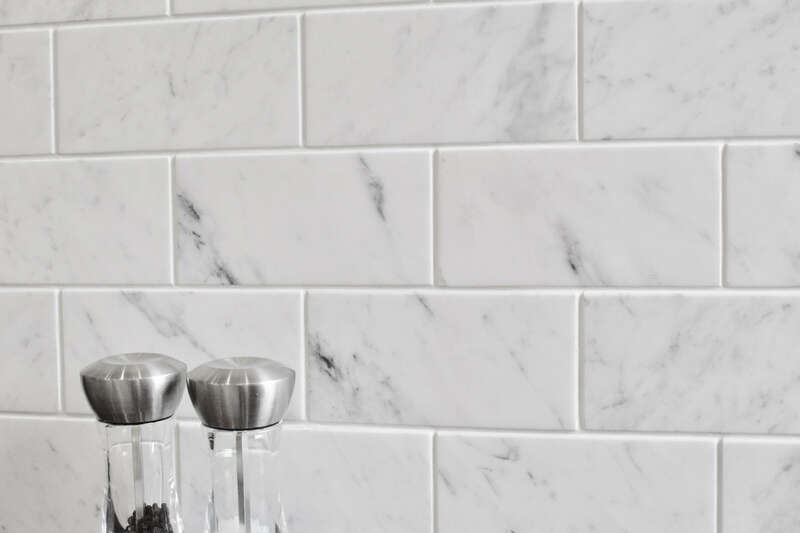 This material makes for a stunning worktop or bathroom tiling. It is a popular choice for those looking for a striking focal point for any room in the form of a natural material. Also available in a polished finish.